I appreciate the effort put into trying to make this story be unique. It really is about a murderer, yes, yes, we've played games like this...but wait and see whom it is that he murders. And whatwas his story that brought him to this point. 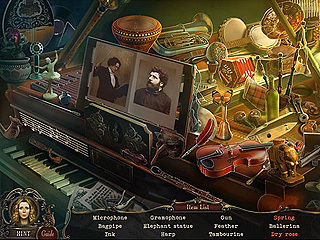 The game offers a great mixture of hidden object levels, puzzles, and adventure. Each part is well thought through. You play as the father of Olivia. She is in the hands of a very strange serial killer. You are going to do whatever it may take to save her before it is too late. Resquing her will lead you to uncovering the story of the murderer, which is one of the intrigues in the story. All this is happenning in England - is there a better place for a story like this?! The game's audio-visual presentation is so very well done. There are voice overs, which is always an advantage. The graphics are gorgeous and very enjoyable. The puzzles are all different, and they avary in their difficulty level. The hide-and-seek levels are interactive and full of items. The whole adventure is assisted with a map that shows you where you might want to go, and a hint that gives you direction. All in all the game is nicely polished and has a lot to offer. You definitely should try this one. Of the panoply of wbeiste I've pored over this has the most veracity. 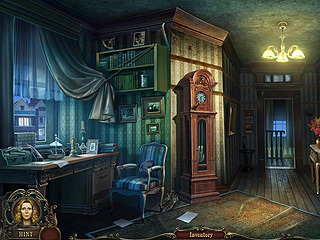 This is Brink of Consciousness: The Lonely Hearts Murders review. Download this game here.